As a retailer of quality used cars, our philosophy has always been to supply immaculate, main deal sourced cars with low mileage. We also have a large selection of automatics in stock. All of the vehicles we supply are fully serviced, MOT'd, valeted and are covered by our comprehensive guarantee. We offer a full aftersales service which most of our long-standing customers use repeatedly. We are happy to carry out routine maintenance, MOT's and body repairs on all of the cars we sell. In addition, to make the acquisition of the car of your choice as simple as possible, we offer a full range of competitive finance facilities including Hire Purchase, Leasing and Contract Hire. Please ask for details. We are based in the Oldham area and pride ourselves on providing unbeatable customer service while offering a wide range of quality vehicles. 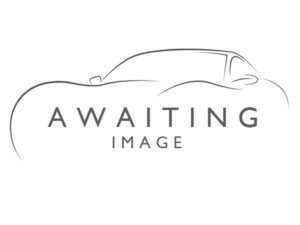 Within this site you will find information on all the vehicles we currently have for sale, which is updated on a regular basis, listing our latest stock with images and details. Please contact us for more information regarding any of the vehicles you've seen in our showroom or to book an appointment to view or request a walk round video.